Home Samsung Smart Phone Samsung Galaxy A70 Specification, Features And Price. 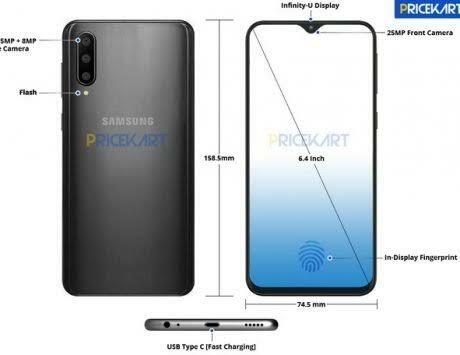 Samsung Galaxy A70 Specification, Features And Price. Samsung launched the new Galaxy A70 smartphone. In the Samsung Galaxy A70, Waterdrop Notch with a 6.7-inch display, with an aspect ratio of 19: 9. Talking about the important features of the Galaxy A70, the handset has three rear cameras, 32 megapixels selfie sensor, and 4,500 mAh battery. Samsung Galaxy A70 runs on the One UI. let's see the Specification of Samsung galaxy A70. This dual-sim phone has a 6.7-inch full-HD + (1080x2400 pixels) super AMOLED Infinity-U display, its aspect ratio is 20: 9. For speed and multitasking, there is 6 GB and 8 GB RAM with octa-core processor (Dual 2.0 GHz + Hexa 1.7 GHz). There is a 128GB storage to save photos, videos and more, with the help of MicroSD card it is possible to extend the storage to 512 GB. Now talk About camera setup. The Samsung Galaxy A70 has 32-megapixel primary sensor, its aperture is F / 1.7, 8 megapixels ultra-wide sensor, its aperture is F / 2.2. The third sensor is 5 megapixels, its aperture is F / 2.2. A 32-megapixel front camera has been given for selfie and video calling, which has an aperture F / 2.0. Galaxy A70 has a battery of 4,500 mah, which comes with 25-watt super-fast charging. The phone is equipped with an in-display fingerprint sensor, but it is unclear whether its an optical sensor or ultrasonic sensor. This phone comes with face recognition support. The length of the phone is 164.3x76.7x7.9 millimeters. 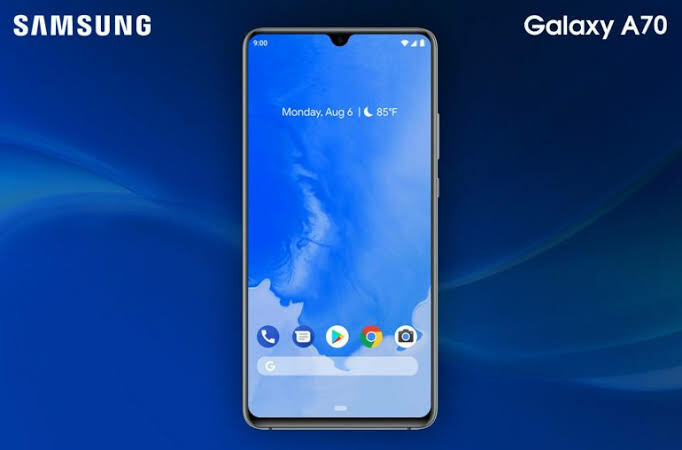 Samsung Galaxy A70 runs on Samsung One UI, based on Android Pie. Samsung has not yet unveiled the price and availability of its new Galaxy A70 smartphone. Samsung will provide details About Pricing during the event held on April 10 next. 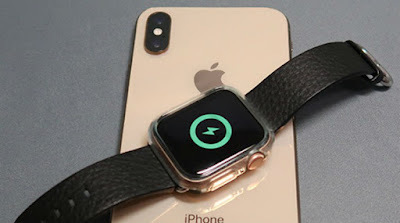 This phone will be found in Black, Blue, Coral, and White colors. The Samsung Galaxy A70 has a 3D borderline glossy design, waterDrop notch, and thin borders. The rear of the phone has three rear cameras with LED flash. Volume and power buttons have been found on the right side of the phone.